moving on. 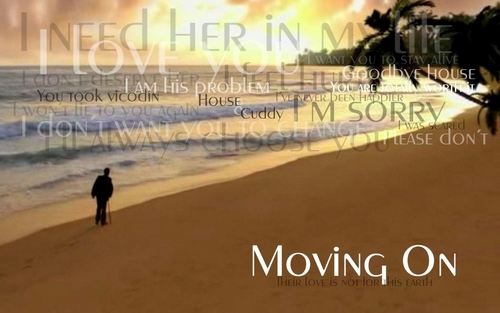 House walking on the beach, remembering all the words they ব্যক্ত to eachother.... HD Wallpaper and background images in the Huddy club tagged: huddy cuddy house md season 7 lisa cuddy gregory house house final memories. This Huddy fan art contains সূর্যাস্ত সূর্যোদয়. There might also be সৈকত, সমুদ্রতীরবর্তী অঁচল, সমুদ্রতীর, and রাস্তার যে অংশ দিয়া যানবাহন চলাচল করে.